Unexpected Umbria is a land of lush rolling hills, ancient medieval villages, delectable wines and sumptuous regional cuisine. Home to iconic towns like Assisi as well as lovely hilltop villages like Spello, Bevagna, Montefalco, Panicale, Todi and Spoleto, Umbria offers an intriguing mix of history, art and culture that serves as the perfect complement to its fine food and wine. Umbria is A land-locked area in the heart of Italy, Umbria has a climate and geography similar to Tuscany’s, with cold, rainy winters and dry sun-filled summers. An exception is the area surrounding Lake Trasimeno and Lake Bolsena, where a mild, Mediterranean microclimate dominates the landscape’s weather. 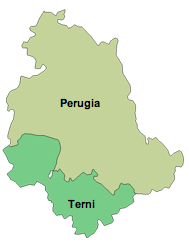 Umbria is divided into two provinces, Perugia and Terni.territory and dominated the Umbri completely, establishing an advanced social and political system among a network of cities in the region. Etruscan control was brought to an end when the entire Umbrian region fell to Roman invaders in 295 BC. Rome ruled Umbria for several centuries until it, too, fell in the 5th century AD. Today, there is ample archaeological evidence of both Etruscan and Roman society scattered throughout Umbria or on display in museums such as the National Archaeological Museum of Umbria (in Perugia) or the Archaeological Museum of Folgolino. Umbria has been a wine-producing region since Etruscan times, but its vineyards have always fallen in the shadow of those in Tuscany. 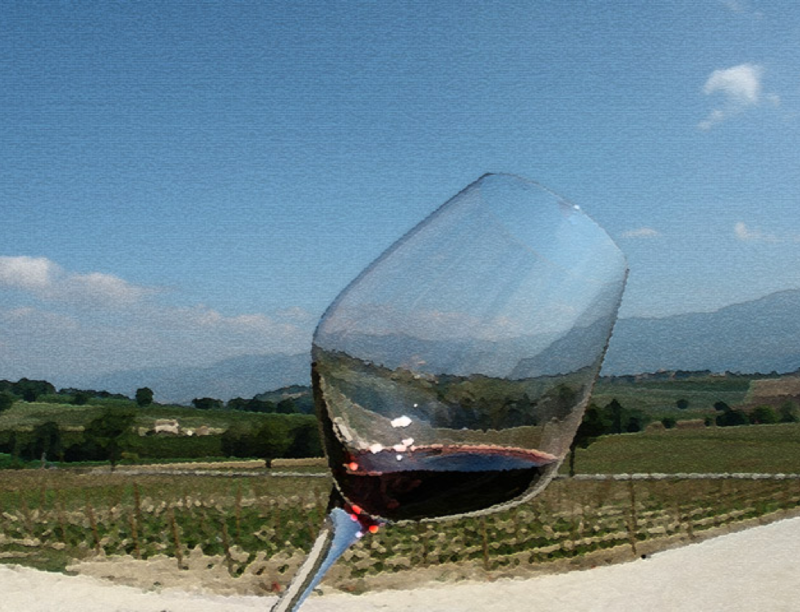 These days, Umbrian wines have become increasingly respected in the world’s wine scene. The crisp white wines of Orvieto are perhaps the most well-known Umbrian wines. 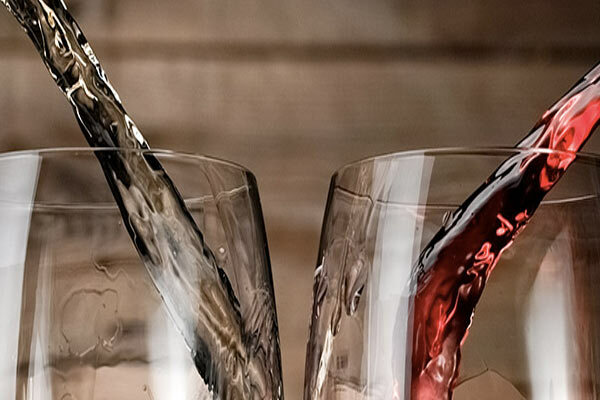 However Umbrian reds, such as Torgiano Rosso Riserva and Sagrantino di Montefalco have gained substantial attention as well. Visitors interested in Umbrian wines may want to visit the Wine Museum in Torgiano, which tells the story of Italian winemaking since ancient times. The hills which surround Perugia, the capital of Umbria, boast the area’s best red wines made from Sangiovese and the powerful Sagrantino grape. 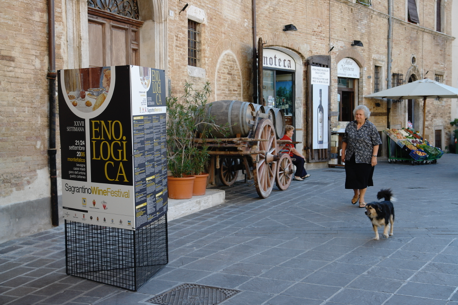 Settimana Enologica is a festival, held the 3rd week of September, celebrating the release of the newest vintage of Sagrantino di Montefalco. Naturally, it is held in the medieval hill town of Montefalco. If you are in or near Umbria during that week, the festival is not to be missed. Speaking of festivals, Umbria is a leading light in the music world. Umbria seems to step away from its traditions and embrace the contemporary. 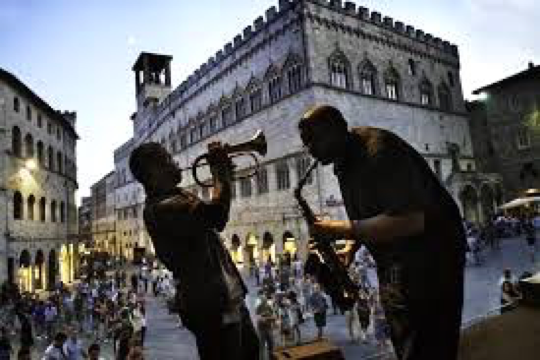 Each July, the region hosts the Umbria Jazz Festival, one of the most renowned international music festivals in the world. This festival draws the world’s most famous jazz musicians as well as new talents. Another popular Umbrian music festival is the Festival dei Due Mondi (The Two Worlds Festival) in Spoleto, which features opera and classical music in addition to modern dance, theater and other visual arts. The Festival dei Due Mondi takes place annually in June and July. Great places to stay in Umbria include the Villa Pambuffetti in Montefalco and Locanda Palazzone just outside the breathtaking walled city of Orvieto.salame mazzafegati (a pork liver sausage made with orange peel, pine nuts and raisins), and porchetta, an herb-stuffed roast pork sandwich. 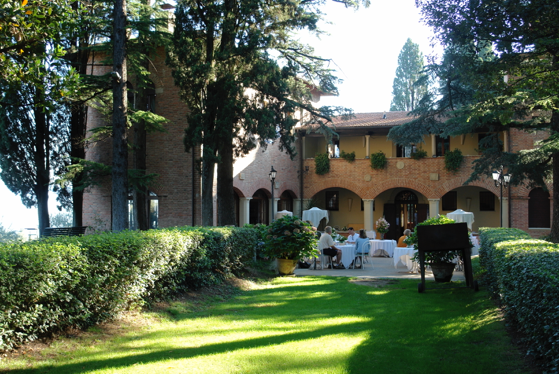 In addition to very pleasant lodging in a park-like setting, Villa Pambuffetti has an exceptional restaurant and a world-class cooking school. It is just a short walk from the entry through Montefalco’s walls and a great location to explore Perugia, Assisi, Spoleto and other nearby towns loaded with history. 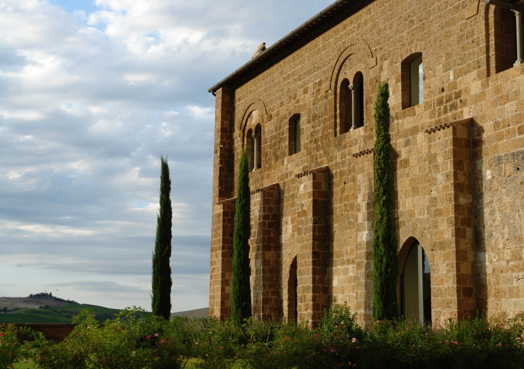 Locanda Palazzone was originally a stay-over stop for pilgrims traveling from Rome to the Duomo in Orvieto. 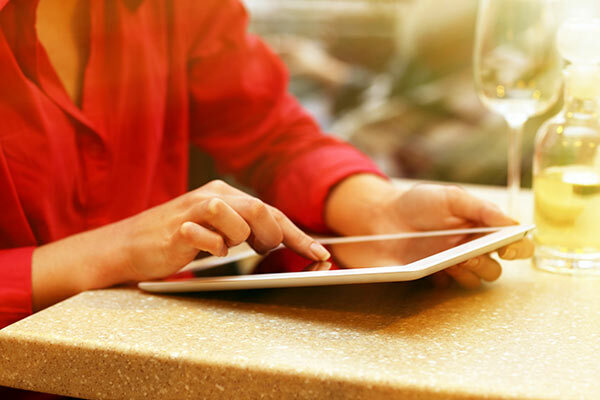 It has been beautifully renovated into a sleek modern B&B. 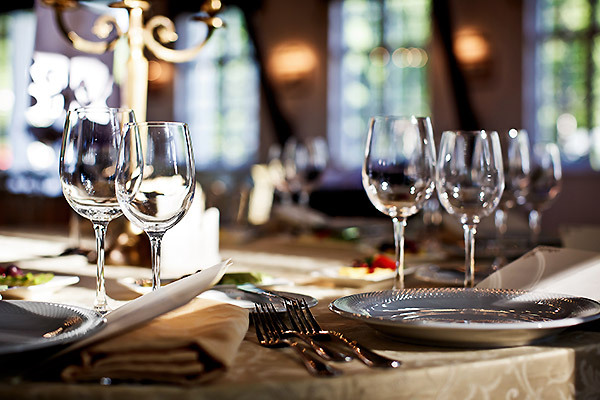 It also has a fine restaurant and offers cooking classes. Sagrantino di Montefalco on the vine and in the glass. It’s beautiful, powerful, complex and unexpected… just like Umbria. The name can be traced to the Sacraments (from the Latin “Sacer”- Sacred), since the grape was cultivated by monks to produce a raisin wine used for religious rites. 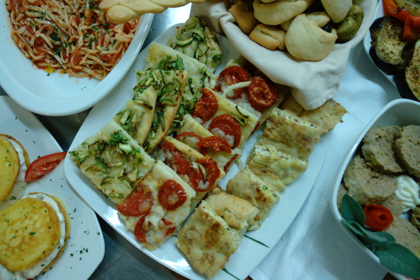 Umbria is located in the center of Italy, in the Apennines north of Rome and east of Toscana. 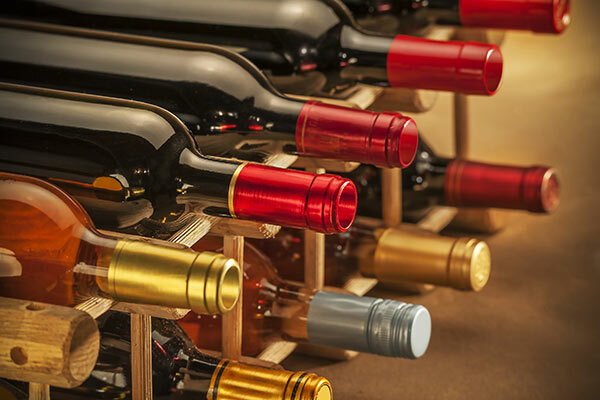 In 2016, Umbria produced 815,000 hl (9 million cases) of wine. The region’s primary grape varieties are Sangiovese (22%), Trebbiano (17%), and Grechetto (13%). The region has 2 DOCGs, 13 DOCs (see map), and 6 IGPs. In 2016, Umbria produced 815,000 hl (9 million cases) of wine. 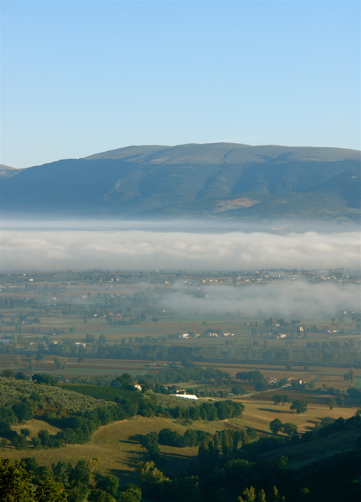 The town of Montefalco and its surroun­ding hills have a continental climate. 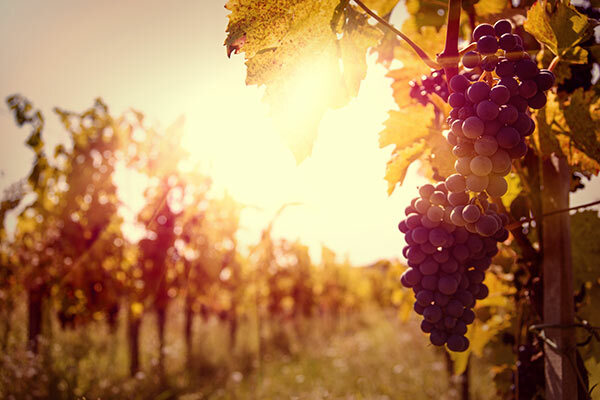 The “Consorzio tutela vini di Montefalco” intends to assess the feasibility and benefits of an innovative management plans to fight plant disease in the vineyards of the territory, able to lead in the short term to a reduction of dependency on the use of pesticides.